Customs Law is Law No. 10/1995 concerning Customs, as amended by Law No. 17/2006. Export Levy is a state levy imposed on exported goods based on the Customs Law. Customs Notification of Export is a statement made by persons in the framework of fulfilling customs liabilities in export in writing on forms or electronic data. Export Check Price hereinafter abbreviated as HPE is check price stipulated periodically by the Minister in charge of trading affairs after coordinating with related ministers/heads of non-ministerial government institutions/head of technical agencies. Export Price is a price used for calculating Export Levy. Reference Price is the average international price and/or average domestic market price of certain commodities to stipulate Export Levy rate that is stipulated by the minister whose task and responsibility in the trade after make coordination with minister/head of non ministerial government agency/head of related technical agency. Export Goods may subject to Export Levy. d. raw materials or ore of minerals. d. for the raw materials or ore of minerals are as intended in paragraph (1) are as listed in Attachment IV that is an integral part of this Ministerial Regulation. a. In case of the reference price being up to USD 2,000 (two thousand US dollars) per ton, the export levy rate is as stipulated in Column 1 in Attachment II. b. In case of the reference price is exceeding USD 2,000 (two thousand US dollars) per ton up to USD 2,750 (two thousand seven hundred fifty US dollars) per ton, the export levy rate is as stipulated in Column 2 in Attachment II. c. In case of the reference price is exceeding USD 2,750 (two thousand seven hundred fifty US dollars) per ton up to USD 3,500 (three thousand five hundred US dollars) per ton, the export levy rate is as stipulated in Column 3 in Attachment II. d. In case of the reference price is exceeding USD 3,500 (three thousand five hundred US dollars) per ton, the export levy rate is as stipulated in Column 4 in Attachment II. g. In case of the reference price is exceeding USD 1,000 (one thousand US dollars) per ton up to USD 1,050 (one thousand and fifty US dollar) per ton the export levy rate is as stipulated in Column 7 in Attachment III. a. for cocoa beans is the average CIF price of the New York Board of Trade (NYBOT), New York. 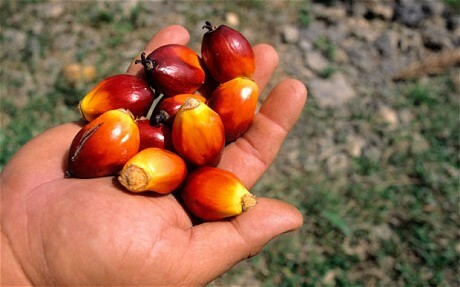 b. for palm oil, Crude Palm Oil (CPO) and its derivatives products is the average price Cost Insurance Freight (CIF) of Crude Palm Oil (CPO) from Rotterdam, Malaysia commodity market, and/or Indonesia commodity market. Export levy rate per unit of goods in certain currency x Total Unit of Goods x Exchange Rate. (2) The export price as intended in paragraph (1) a, shall be stipulated by the Director General of Customs and Excise on behalf of the Minister of Finance in accordance with HPE. (1) Any mixture products derived from Crude Palm Oil (CPO) and its derivatives may be subject to Export Levy. (2) Type of goods and rates on mixture products derived from Crude Palm Oil (CPO) and its derivatives are subject to Export Levy are as listed in Attachment V that is an integral part of this Ministerial Regulation. a. a mixture of two or more types of goods subject to Export Levy as listed in Attachment III. b. a mixture of types of goods subject to Export Levy as listed in Attachment III with type of goods that are not subject to Export Levy, with greater volume and/or weight of the component of goods subject to Export Levy. (1) Export Levy on the mixture products as intended in Article 6 paragraph (3) a is equal to the highest export levy rate applicable on the components of the mixture of products without regard to the composition of mixing components. b. the highest export levy rate applicable from the mixing components without regard to the composition of mixing components, if there are of two or more components derived from the goods subject to Export Levy. The number of units of goods to calculate Export Levy of mixture product as intended in Article 6 is the volume and/or weight of the total mixture product. (1) Export price of the mixture product as intended in Article 6 paragraph (3) a is equal to the highest Export Price of the applicable component of the mixture products without regard to the composition of mixing components. b. highest Export price applicable of mixing components without regard to the composition of mixing components, if there are two or more mixing components derived from the goods subject to Export Levy. (1) Any mixture of raw material or ore of minerals containing two or more types of raw material or ore of minerals listed in Attachment IV may be subject to Export Levy. a. mixture of two or more types of goods subject to Export Levy as listed in Attachment IV that have different price. b. mixture of type of goods subject to Export Levy as listed in Attachment IV with the type of goods that are not subject to Export Levy. (1) Export Levy on mixed raw material or ore of minerals as intended in Article 10 paragraph (2) a is calculated based on the highest price of the component of the mixture. (2) Export Levy on mixed raw material or ore of minerals as intended in Article 10 paragraph (2) b is calculated based on the highest price of the mixture component are subject to Export Levy. The number of units of goods to calculate Export Levy of mixture raw material or ore of minerals as intended in Article 10 is the total weight of the mixture of raw material or ore of minerals. RBD Palm Olein brand list in the package subject to Export Levy as intended in the Group V Number 28 in Appendix III, is determined by the minister who has duties and responsibilities in the field of trade. By the enactment of this Ministerial Regulation, on the export goods of leather, timber, cocoa beans, palm oil, Crude Palm Oil (CPO) and its derivatives, whose exports were made since the entry into force of this Ministerial Regulation until May 31, 2012, subject to Export Levy with rate according to the provisions as intended in the Regulation of the Minister of Finance No. 67/PMK.011/2010 concerning Determination of Export Goods Subject to Export Levy and Rate of Export Levy, as amended by the Regulation of the Minister of Finance No. 128/PMK.011/2011. At the time this Ministerial Regulation came into force, Regulation of the Minister of Finance No.. 67/PMK.011/2010 concerning Determination of Export Goods Subject to Export Levy and Rate of Export Levy, as amended by the Regulation of the Minister of Finance No. 128/PMK.011/2011, shall be revoked and declared null and void. This Ministerial Regulation shall come into force on the date of promulgation. For public cognizance, this Ministerial Regulation shall be promulgated by placing it in the State Gazette of the Republic of Indonesia.